Ron Szymanski is a Jeep retiree with 35 years at the plant. He was the volunteer curator of the Jeep House Museum at the Jeep plant and also served at the Jeep historian for Chrysler’s Camp Jeep. He spoke on the development of the military jeep. 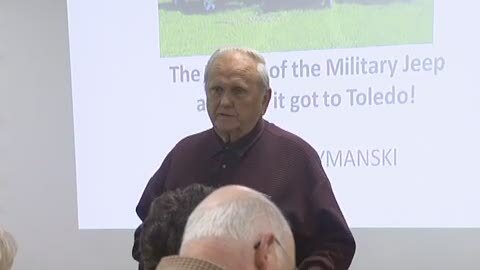 The lecture was part of Lourdes University Lifelong Learning educational program. The program is open to all interested men and women; the only requirement for participation is an interest in ongoing learning. The meetings are held at the Franciscan Center of Lourdes University.